Louis was born in France, and he was educated by the Jesuits at the college of St. Thomas Becket in Rennes, before completing his priestly formation at La Sorbonne in Paris. It was there that he developed a great love for the poor, and a beautiful devotion to the Blessed Virgin Mary. In time, he wrote the True Devotion to Mary. The personal motto of the soon-to-be Saint John Paul II – Totus Tuus (all yours) – was inspired by St. Louis' teaching on the importance of Marian devotion, and the consecration to the Virgin Mary. Christ must be the ultimate end of all devotions. There was, however, an idea I could not wrap around my mind: we belong to Jesus and Mary as their slaves. For a person of the modern era, to think of himself as a slave is a bewildering thought. I rejected it and kept my distance from it for a while. In time, after making the Spiritual Exercises of St. Ignatius of Loyola, I made my peace with it. I understood that true inner freedom comes from surrendering ourselves completely to Jesus. To be truly free, we must depend and serve him totally, without reservation. This is the source of all joy. And the beauty of it is that while we acknowledge ourselves as slaves, Jesus doesn't call us servants; he calls us friends (Jn 15:15). Still, I struggled to understand why I should be Mary's slave. I remained very suspicious of that statement. At times, I even waged war against it. I have always loved Mary. She has been a wonderful guide in my life. Yet, I was not ready to become her slave. For a while, I left the argument behind. Then, Pope Francis reminded me of it, twice. Then, two things happened. First, I was invited to give a talk about the consecration to Mary. I began preparing for the talk, and I hit a wall when I started to think about this business of “slavery” to Mary. Thankfully, Mary sent me some help. It came in the form of my boss, Fr. Jim Kubicki, SJ, the director of the Apostleship of Prayer. I told Fr. Jim that I was struggling with this idea. And he pointed to a very simple truth. He began his explanation by stating something I already knew: “We receive Jesus through Mary and we go to Jesus through Mary.” Then he added, “We can certainly go directly to Jesus. But Mary makes up for what is lacking in our offering.” Talk about spiritual dynamite. His explanation did not simply soften my hesitation, it blew through the wall of my doubt. 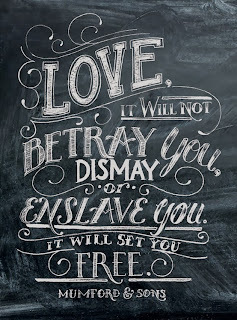 dismay or enslave you, it will set you free. God is Love, and Mary is the handmaid of Love. She wants to perfect my offering. 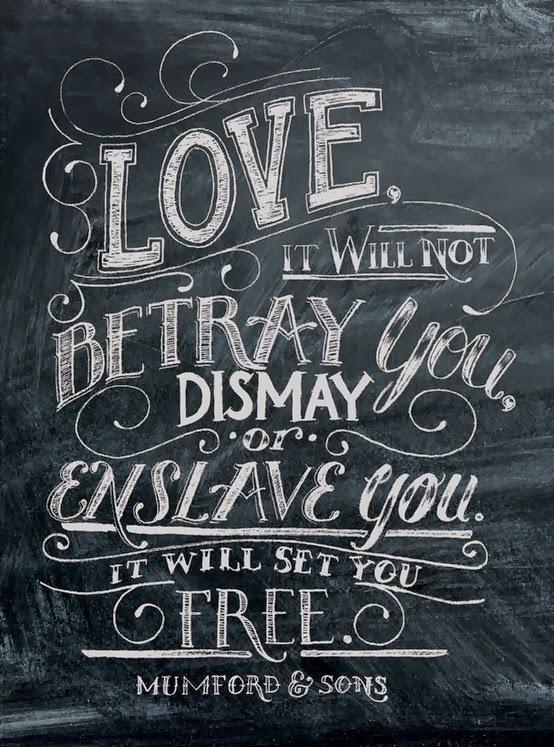 She is not out to trick me, betray me or unsettle me. She wants me to be the man I was made to me. True devotion to Mary leads us to Jesus. All roads lead us to Jesus, if well traveled. When we arrive before the Lord, whatever we have to offer is accepted. God delights in our offering. The Blessed Virgin Mary can help us by making up for what is lacking. She helps us on the road. And she helps us as we present ourselves before her son. 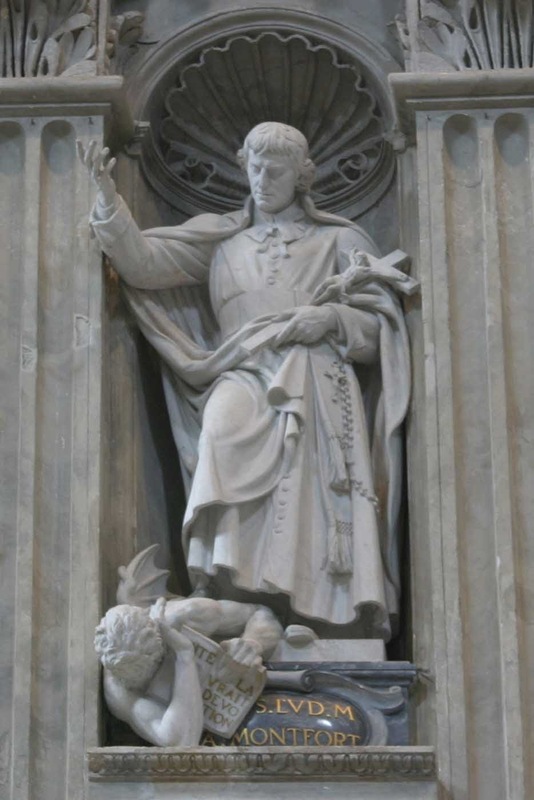 For a while, I had a beef with St. Louis-Marie Grignion de Montfort. Now, I totally get his point. Well played, St. Louis, well played. Today, along with Blessed John Paul II, and many others, I am happy to call myself one of his spiritual sons … and daughters. St. Louis de Montfort, pray for us.